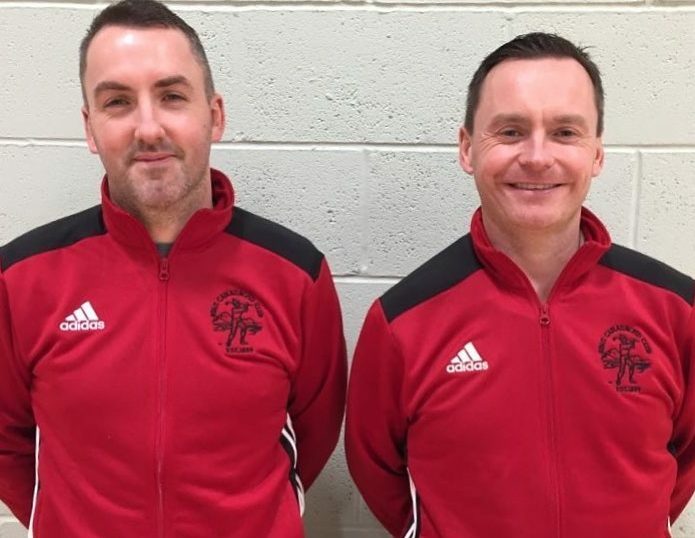 New Oban Camanachd manager Stephen Sloss has named Kenny Wotherspoon as his assistant ahead of the 2019 shinty season. Wotherspoon comes into the post with three years’ experience managing Oban Celtic, the last two of which were in the Marine Harvest National Division. Wotherspoon left for Oban Celtic in 2007 but now makes his return 12 years later. ‘I know many of the boys already. Some were involved with the South U21s last season while I know others socially or through work. He’s just a couple of months into the job and new Oban Camanachd manager Stephen Sloss is working hard to ensure Oban Camanachd have every advantage going into the new shinty season. Defender Scott McKillop has provided his manager with an early boost, returning to training after suffering a foot injury when abroad. There is also the appointment of assistant manager Kenny Wotherspoon to help on the sidelines. Oban Camanachd have been looking into the possibility of arranging a fixture for Saturday January 26. What is confirmed though is a full training match on Saturday February 2, the visit of Glasgow Mid Argyll to Mossfield a week later, followed by a meeting with Ballachulish and a testing encounter with Newtonmore at the Eilan ahead of the start of the competitive season. Oban Camanachd manager Stephen Sloss confirmed that Daniel Madej has joined the side from local rivals Oban Celtic. While a number of shinty’s top flight clubs have lost some regulars ahead of the new season, Oban Camanachd have been able to add to their pool. Oban Celtic have confirmed the throw up times for their pre-season friendlies. New manager Dougie MacIntyre’s first match in charge will be a friendly meeting with Glengarry at Mossfield on Saturday February 2, throw up is at 1pm. Oban Celtic are off to the Taynuilt Sports Field a week later to play Taynuilt with the Robert Wylie Memorial Cup at stake. Throw up is again at 1pm. The final pre-season friendly is against Inveraray at Ganavan on Saturday February 23 with a 1pm start. The Oban Celtic second team also have a warm-up game as they welcome St Andrews University to the Oban High School all-weather pitch on Saturday February 16. Throw-up is at the earlier time of 10.30am. Lochside Rovers have a change of fixture for their final pre-season friendly on Saturday February 23. The Oban side were to face Taynuilt for the JC Trophy as the clubs remember John Cameron but that will now be contested when the teams meet in Marine Harvest South Division 1 in the new season. Ballachulish will now visit Mossfield to face Lochside instead on the final Saturday before the new season starts. Recently appointed Kilmallie first team manager John Stewart has announced his coaching team for the 2019 season. Stewart took over from Mark MacPherson, who stood down at the end of last season after four years in charge. However, Mark MacPherson has agreed to come back into the fold as Stewart’s assistant manager which is a major boost to the club. He will be a popular choice among the players and he comes with considerable experience and a great knowledge of the newly promoted squad. Ryan Stewart has been leading the pre-season fitness training and he will be the team trainer. Stewart is passionate about fitness and training and the players are already feeling the benefits from his sessions. Kilmallie will also hold their annual general meeting Caol Community Centre on Saturday January 26. This is an important date for the club as they reflect on the last year and plan for the season ahead. The AGM is also an opportunity for the board of directors to hear the views of players, members, helpers and supporters. The directors for the new season will be elected at the AGM, which starts at 11am. Victor Smith and Adam Robertson continue in charge at Fort William next season. The Fort only missed out on promotion by a point last season but they will start this term without influential defender James Tangney who suffered an accident when spending time abroad. Kinlochshiel have confirmed their pre-season schedule. ’Shiel start at home to Inverness on Saturday February 2 before playing Inveraray at the Winterton a week later. Kinlochshiel host neighbours Skye Camanachd in their final pre-season friendly on Saturday February 23. 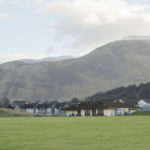 Kinlochshiel hope to be finally playing their home games on their new pitch in Balmacara but this will be weather dependent. Aberdeen University have opted to continue playing in Marine Harvest North Division 1 this coming season. The students finished bottom of the league last season and were expected to be relegated. However, they successfully put forward the case that they will be able to better progress as a club by maintaining their North 1 status. The countdown is on ahead of Glengarry’s popular annual indoor tournament to contest the Johnstone Rose Bowl at the Nevis Centre, Fort William on Saturday January 26. The tournament starts at noon. The annual First Shinty Festival at the Lewis Sports Centre attracted 63 youngsters who were given the chance to develop their skills and play a number of games. Several Camanachd Leòdhais were on hand to provide coaching and the event is another sign of shinty’s increased popularity in the western isles. The University of the Highlands and Islands are looking to recruit shinty players to compete in this season’s prestigious Littlejohn Vase competition, which takes place at St Andrews on Wednesday February 20. Sportscotland and the Camanachd Association want to understand the wider benefits experienced from taking part in sport. They are asking club members aged over 13 to tell about their sport and the physical activities involved both with their club and in everyday life. They are also keen to understand how individuals first became involved with their clubs, what they feel the benefits of taking part are and how sporting participation helps them achieve their goals. As a thank you, every survey completed by February 11 will be entered into a prize draw for £1,000 worth of sports equipment for the club concerned. The prize draw will be run by sportscotland and the winning club will be notified by February 28. Fort William lost one of their most fervent supporters when Duncan Clark passed away peacefully, aged 85 years. Shinty was in Duncan’s blood and he passed that on to sons Ali, Duncan Jnr, and Jimmy, who inherited his love of the game. Grandsons Struan, Cameron, Arran and Ruaraidh play for the club and for Inverlochy while another grandson, Lewis, has represented Scotland at U17 level and plays for the current Fort William senior team. Duncan’s twin brother, Donald from Newtonmore, passed away recently and his funeral was the same day as Duncan’s passing. The shinty community in general and Caberfeidh Shinty Club in particular were saddened to learn of the passing of Duncan MacLennan MacDonald at his home in Inverness on Tuesday January 15. Duncan was formerly headmaster at both Contin and Fodderty primary schools where he took great interest in the promotion of shinty and became involved with the Ross-shire Camanachd Association. After moving from Contin to Fodderty, he took up residence with his wife and family in Strathpeffer. Duncan’s interest in shinty continued and he was very soon involved with Caberfeidh Shinty Club where he served for 11 years as Secretary from 1988 to 1999. During his time with the club, Duncan took a huge interest in the youth teams and managed the U14 team when they were the first winners of the North Area U14 League in 1986 and again in 1987. Duncan and his wife Jean moved to Inverness a few years ago to continue his retirement but kept up his interest in the Strathpeffer community. Despite his failing health he was able to attend the Strathpeffer Highland Gathering last August. Duncan is survived by his wife Jean, four daughters, two sons and his grandchildren.